Recently, we talked about those extras you should pay for in a new car. Today? You guessed it! We’re poo-pooing those unnecessary shiny things the car manufacturers are trying entice you with. Ignore these suggestions at your own financial peril. 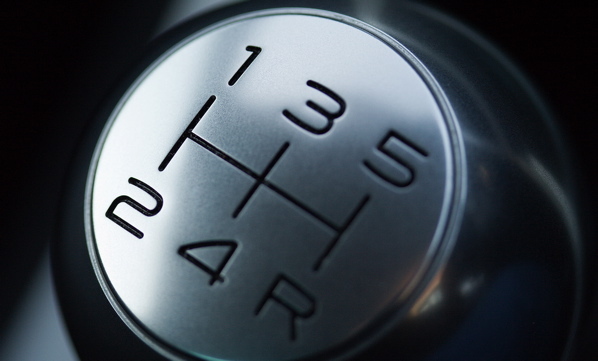 Automatic transmissions take the engagement out of the driving experience. As I mentioned last week, studies indicate that you’re already disengaged at work and stuck in your car longer than nearly everyone else on the planet. So why pay to disengage from the drive too? If the option is there to leave the trannie standard, take it. What if you learned to drive on mom’s station wagon and only ever saw a stick shift in The Italian Job? Take lessons. The money you save from not paying for an automatic transmission will cover them. Air conditioning. It’s Canada for chrissakes. Get over yourself. The 7 weeks of the year when you’re genuinely feeling the heat should be a time to celebrate. Besides your power windows probably came included with the base price. Lower them. Then put the money you’d spend on AC towards a winter getaway to the south when you’re using the heat in your car to stay alive. Burnished walnut dash. It’s just fun saying that phrase. (Doesn’t it sound like a euphemism for the self-love act?) If you’re considering burnished walnut chances are you didn’t skimp on the AC. A big-assed stereo thumping bass through your bowels and shaking the road renders you deaf and sterile. Maybe I’m getting old but if you feel the need to crank it instead of talking to your passengers, you have issues. Spend the stereo money on therapy instead. If you don’t have passengers, drive with your iPod. It won’t render you sterile. Winter tires. Just kidding. You so need these. To stay alive. And I can’t believe it’s still legal in parts of Canada to drive without them between November and April. The wider the better. Go get some now. They’ll be cheap at this time of year. Winter tires are NOT best when you mount wider tires. Wider tires will dissipate the weight of the car over a larger contact patch. The wider the tire, the greater the tendency to float over the snow. The best tires are going to be the size that was specified for your car, in a nice open tread, and if you live in one of the more civilized provinces – where studs are legal, have them studded. There is no substitute for a true snow tire. Dave is so totally right about snow tires. Wider is NOT better. Where the heck did you get that information? Under a rock?